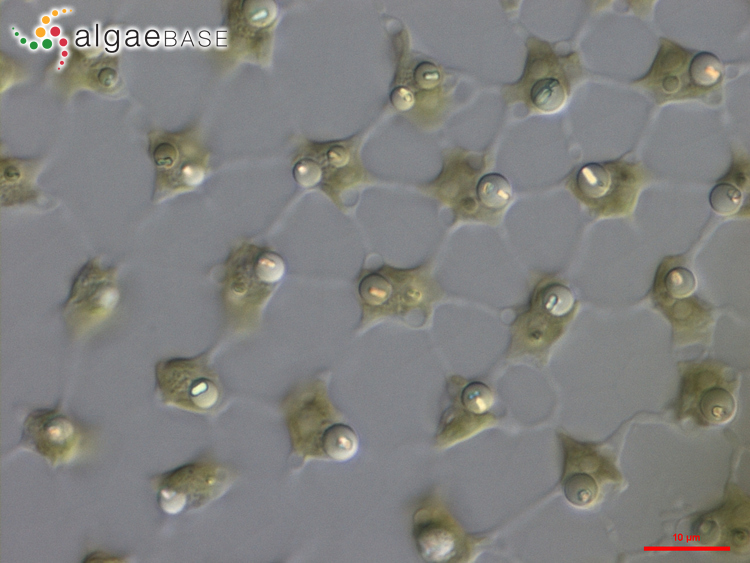 Surface of colony at high magnification, Yardley Chase, Northamptonshire, UK. 17 May 2017. © C.F.Carter(chris.carter'at'6cvw.freeuk.com. 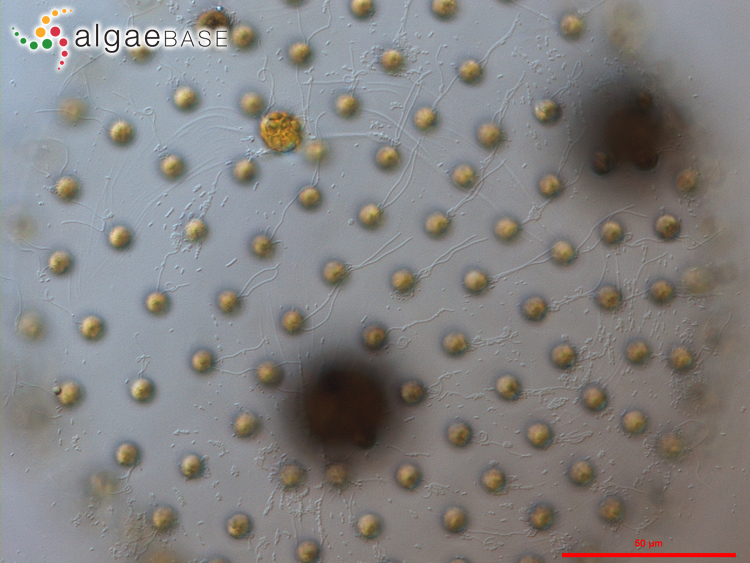 Edge of colony at high magnification, Yardley Chase, Northamptonshire, UK. 17 May 2017. © C.F.Carter(chris.carter'at'6cvw.freeuk.com. Colony at low magnification at two focus points, Yardley Chase, Northamptonshire, UK. 17 May 2017. © C.F.Carter(chris.carter'at'6cvw.freeuk.com. Holme Fen NNR, Huntingdon, UK. BF image.. 26 Apr 2006. © C.F.Carter(chris.carter@6cvw.freeuk.com). Hood River, Oregon, USA; Columbia River, Marina, 400x, DIC. 30 Aug 2009. Karl Bruun. © Karl Bruun (skogenman@earthlink.net). Bainbridge Island, Washington, USA; pond, Lugol's, 400x, DIC. 16 Aug 2009. Karl Bruun. © Karl Bruun (skogenman@earthlink.net). Bremerton, Washington, USA; Kitsap Lake, 1000x, DIC. 19 Jun 2009. Karl Bruun. © Karl Bruun (skogenman@earthlink.net). Bainbridge Island, Washington, USA; pond, 200x, DIC. 11 Nov 2008. Karl Bruun. © Karl Bruun (skogenman@earthlink.net). 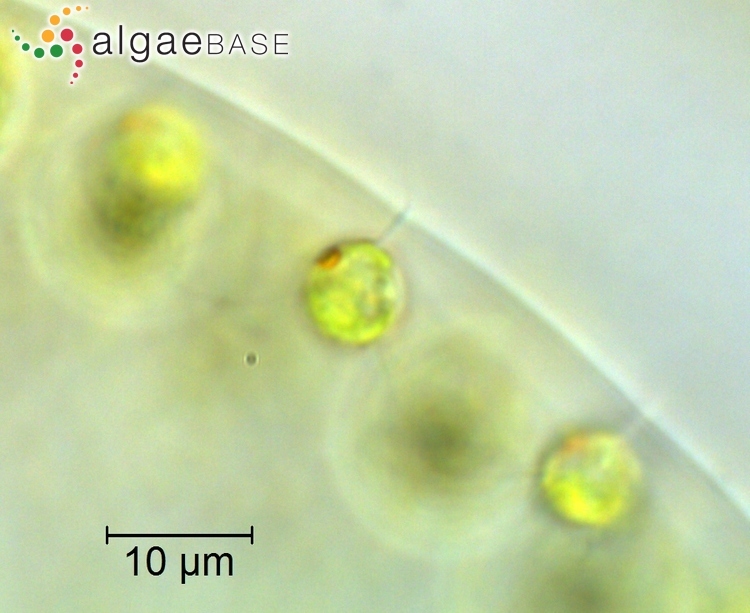 The type species (lectotype) of the genus Volvox is Volvox globator Linnaeus. Type locality: Berlin (Silva 1996-to date). Herron, M.D., Desnitskiy, A.G. & Michod, R.E. (2010). 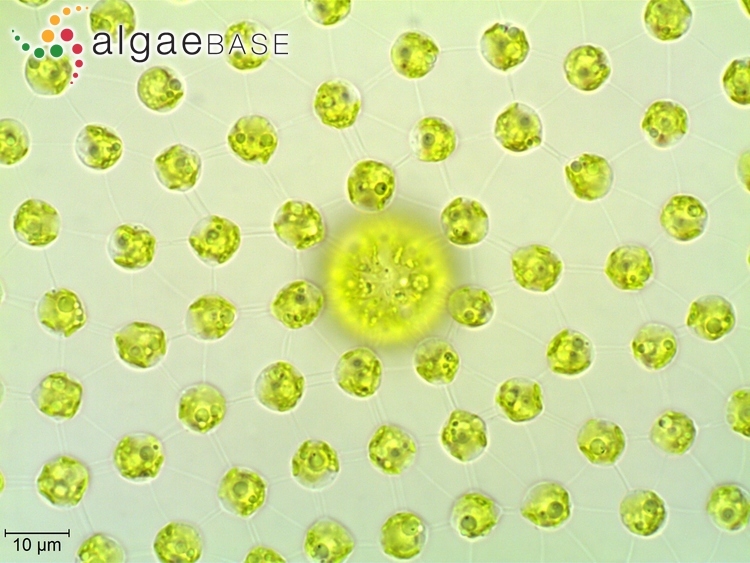 Evolution of developmental programs in Volvox (Chlorophyta). Journal of Phycology 46(2): 316-324. West, G.S. (1910). 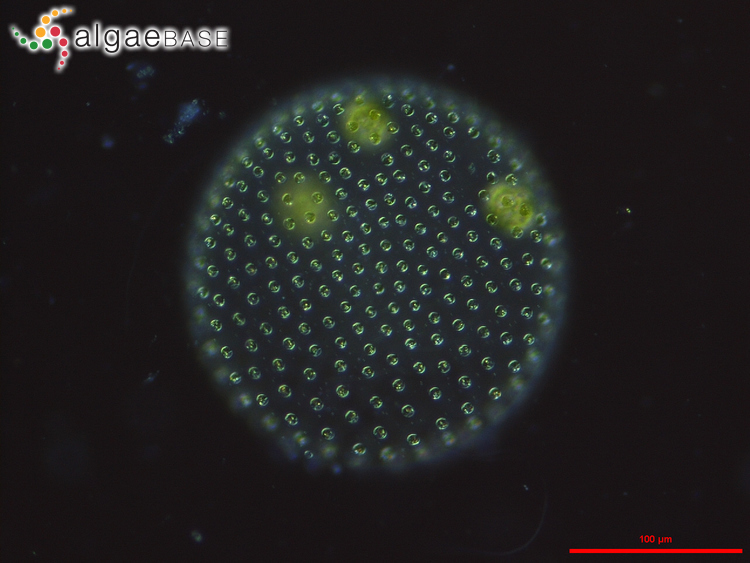 Some new African species of Volvox. 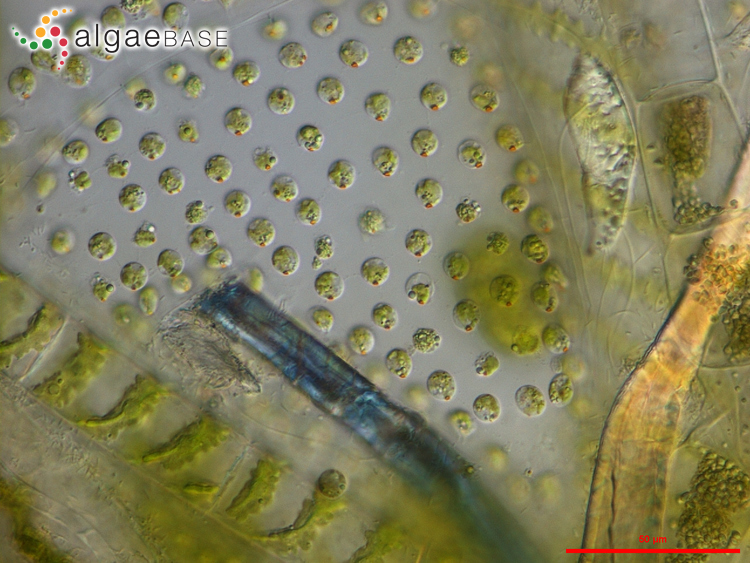 Journal of the Quekett Microscopical Club, Series 2 11: 99-104, pl. 3: figs 1-10. Accesses: This record has been accessed by users 10439 times since it was created. Bisalputra, T. & Stein, J.R. (1966). 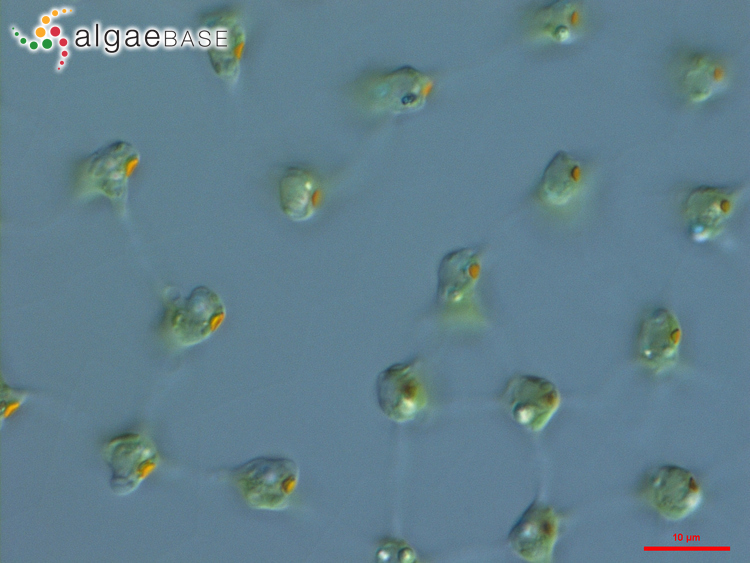 The development of cytoplasmic bridges in Volvox aureus. Canadian Journal of Botany 44: 1697-1702. Meyer, A. (1896). Die Plasmaverbindungen und die Membranen von Volvox globator, aureus und tertius, mit Rücksicht auf die thierischen Zellen.. Botanische Zeitung 54(Abteilung 1): 187-216, pl. VIII. Pentecost, A. (1983). The distribution of daughter colonies in a natural population of Volvox aureus Ehrenb.. Annals of Botany 52: 769-776. Reynolds, C.S. (1984). 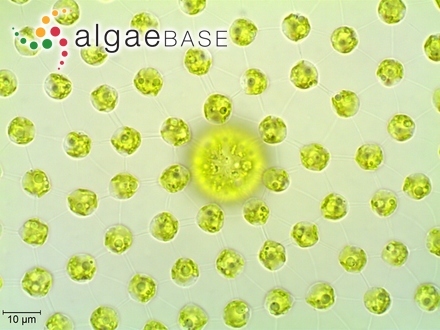 Growth-rate responses of Volvox aureus Ehrenb. 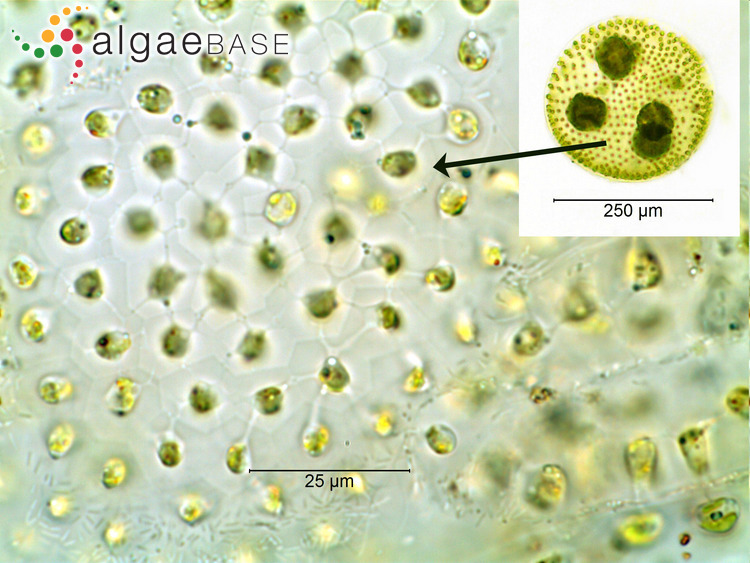 (Chlorophyta, Volvocales) to variability in the physical environment. British Phycological Journal 18: 433-442, 5 figs, 1 table.